Disclaimer: All information contained within this article was pulled from public record and includes stock trending, financial information, and published employee reviews from public sources as of 1/18/19. The information contained within this article should not be construed as investment advice. There are currently five large publicly traded PEOs; ADP TotalSource, Paychex, Insperity, TriNet, and BBSI. This article will provide an overview of stock trending, market caps, P/E Ratio, stock performance versus major market indexes, Glassdoor reviews, three year revenue trending, and commentary. The combination of this information is what is used to provide the overview of the publicly traded PEOs in the market. *Market cap includes payroll segment of business. Estimated market caps for the PEO/HRS segment is much lower. Company financials, segregated by the PEO/HRS segment are illustrated later in this article and will be a better reflection of size as it pertains to the PEO/HRS segment. ADP TotalSource is the largest among publicly traded PEOs while Insperity has the highest P/E ratio. Insperity is trading at 14.65% higher above its TTM midpoint which leads the peer group. Current trading values were pulled on 1/18/19. Note: Paychex numbers do not reflect the acquisition of Oasis Outsourcing, Inc. Their numbers will likely shift once the financials for Oasis are included in their next filing. The stocks for the majority of publicly traded PEOs have trended in a positive direction over the TTM. Paychex is leading the way with the highest rankings in all three categories. Insperity was a close 2nd at 3.8, 72%, and 87% respectively. As a point of reference, considering Paychex just recently acquired the formerly largest privately held PEO Oasis Outsourcing, the rankings for Oasis are listed below. Information was pulled from the three most recent 10K filings per company. (Revenue numbers for ADP and Paychex were for the PEO/HRS segments only and exclude payroll service numbers). The majority of publicly traded PEOs have outperformed indexes and most are trading above the midpoint of their 52 week high/low. The majority of PEOs have a positive composite rating based on feedback from current/former employees on Glassdoor. The stock market has been a bouncing ball lately with dips and gains. However, as history shows, a bull market will not last forever. When the market does correct, PEOs historically have been resilient to economic downshifts as noted on our PEO Industry Statistics articles. The majority of P/E ratios suggest that the investment community expects continued growth in the segment. Publicly traded PEOs have experienced between 23.17% to 28.19% for revenue growth between 2015 to 2017. While the PEO industry is fragmented, revenue distribution is more consolidated. The midpoint of revenue growth between publicly traded PEOs is just over 25% from 2015 to 2017 numbers. This equates to an annual average growth of roughly 12.5%. Even with a potential economic downshift, where same store sales will likely reduce, PEO industry revenues are expected to experience gains over the next five years due to new business added. 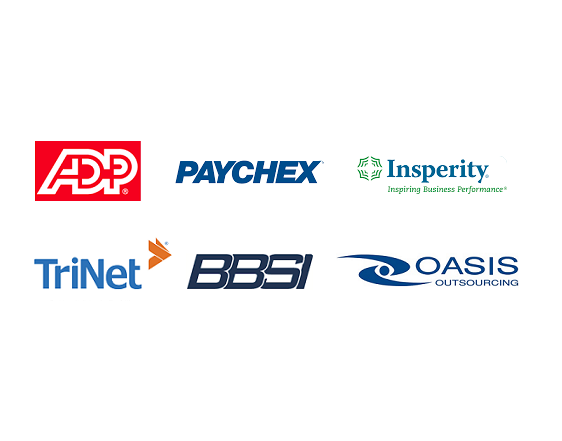 At the time of the Paychex acquisition, it was reported that Oasis Outsourcing had 8,400 clients. It is likely that this will add between $1B and $1.5B to the Paychex PEO/HRS revenues illustrated in the Financial Performance section of this article, though this is purely speculation. We won’t know the true impact on revenue until they file a quarterly report with Oasis included in the financials to provide a base of reference in 2019. 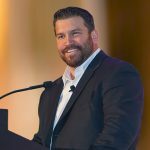 Rob Comeau is the CEO of Business Resource Center, Inc., a business consulting and M&A advisory firm. To learn more about Business Resource Center or to contact Rob, please visit www.biz-rc.com.